Sipping a flat white in a lively café in Clapham Junction, it’s hard to believe this new, London-based mountain runner has just placed third at the Trail World Championships. Tom Evans only began running ultramarathons in April last year. A couple of drinks and a bet led him to toe the start line at the Marathon des Sables. At the fiercely competitive six-day race through the desert, Tom placed a cool third. Not a bad result from a night on the beers. Twelve months later in Penyagolosa, Spain, there were only two people in the world faster than him. Yet Tom doesn’t plan to stop there. 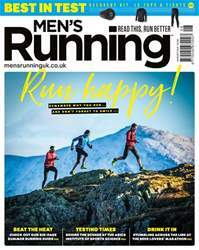 Fresh from seven years in the Army, he has begun a manoeuvre he hopes will put British ultrarunning firmly back on the map.